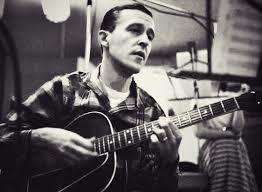 Jimmy Raney was an American jazz guitarist and composer. His bebop guitar playing and his legato phrasing made him a cool jazz guitarist. He is best known for his collaboration with Stan Getz. It seems that Jimmy used a Gibson Es-150 (before it was stolen). He also used a Gibson L-7 (the guitar of his brother Dough) for a few gigs, a Gibson ES-175, then a Hofner (it remains to be checked for this last one). This is lesson is about a jazz guitar solo transcription with tabs of Jimmy Raney in the jazz standard "Have you met miss Jones".